Magnetic levitation is not a new thing per se: while the ground transportation industry is moving towards high performance and high efficiency systems, new levitation systems were born in the recent past in order to meet these requirements. The principle is to create a cushion of air that physically separates the vehicle from the track, with strong advantages in terms of friction, efficiency, noise and vibrations. The problem is that the current solutions are too technically complex and too expensive to be adopted on a mass scale. This explains their extremely limited adoption in the last 40 years, with scarce commercial success where they have been implemented. IronLev is designed to overcome these limitations. Our patented solution is based on simple ferromagnetic material properties. This means that it can work on any iron rail, without requiring ad-hoc infrastructures to be built. It is also passive in its nature, based on a special configuration of permanent magnets. Thus IronLev allows objects to levitate without the need for external electrical power. Ironlev, friction is not dependent on speed. This game-changing feature brings an high versatility of use: our levitation solution is suitable both for revamping current urban transportation systems and for enabling new ones. It works perfectly for a metropolitan trolley as well as for a Hyperloop Pod. The possibility to implement a Dynamic Active Control constantly ensures a proper levitation. A perfect central alignment between the vehicle and the track is maintained by detecting and reacting to even the smallest track imperfection. This guarantees high safety levels and top comfort for the passengers. The system bears the object's weight at zero speed, without the need for any low speed system. Vehicles are continuously floating and always ready to be moved with the touch of a finger. This drastically improves systemic efficiency and environmental sustainability. The Ironlev solution is extremely cost-effective, both in terms of fixed or variable costs. While traditional transportation systems require the deployment of dedicated guideways, Ironlev allows existing tracks to be repurposed. 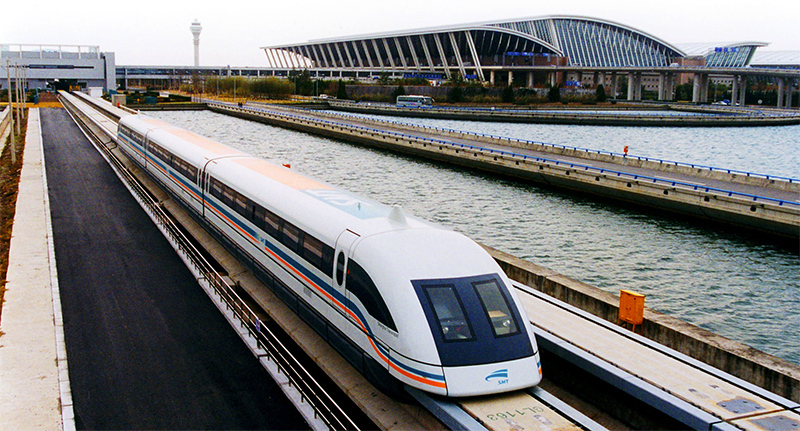 And while over 60% of the operations budget for a traditional maglev train is spent in energy to electrify the whole active track (see here), with the Ironlev technology, vehicles are coupled with passive ferromagnetic rails that do not require electrification to provide levitation.